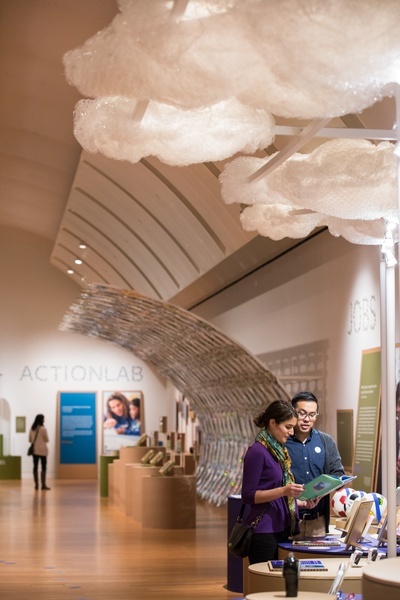 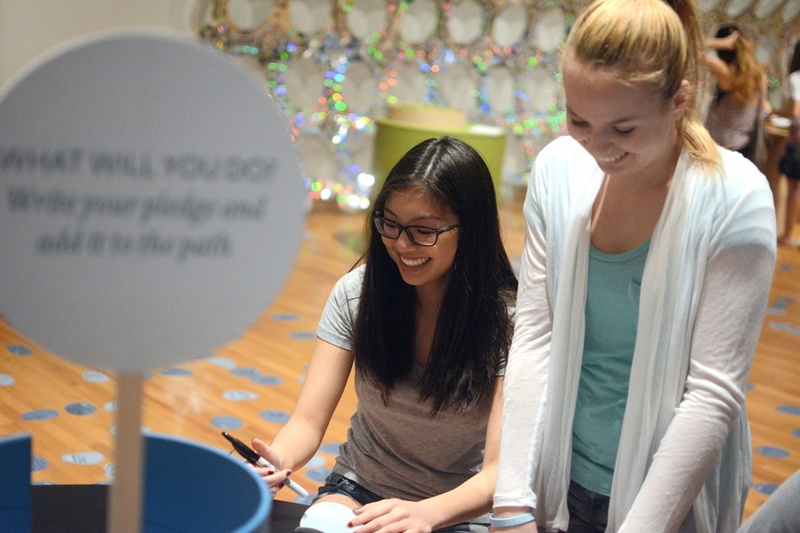 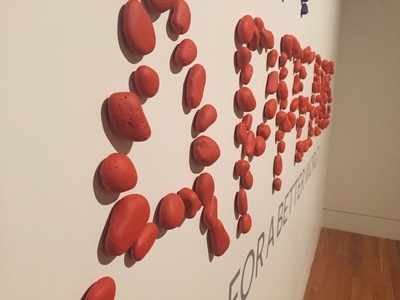 C&G Partners was given the uplifting task of creating the interactive exhibition environment for A Path Appears: Actions for A Better World, a museum exhibition at the Skirball Cultural Center in Los Angeles that doubles as a vehicle for social change. 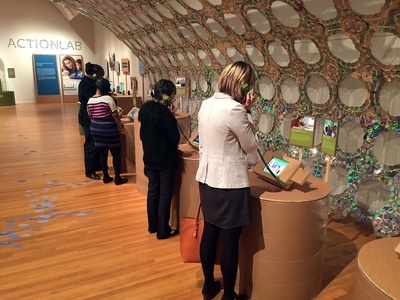 In collaboration with the Los Angeles-based wHY Architecture and Cinnabar fabricators, C&G Partners developed physical points of learning inside interactive pavilions made from salvaged materials that ranged from recycled CDs and threadbare auto tires to cardboard pieces and bubble wrap. The installations illustrated four critical humanitarian issues—education, health, jobs, and empowerment—and the grassroots organizations providing creative solutions to the problem. 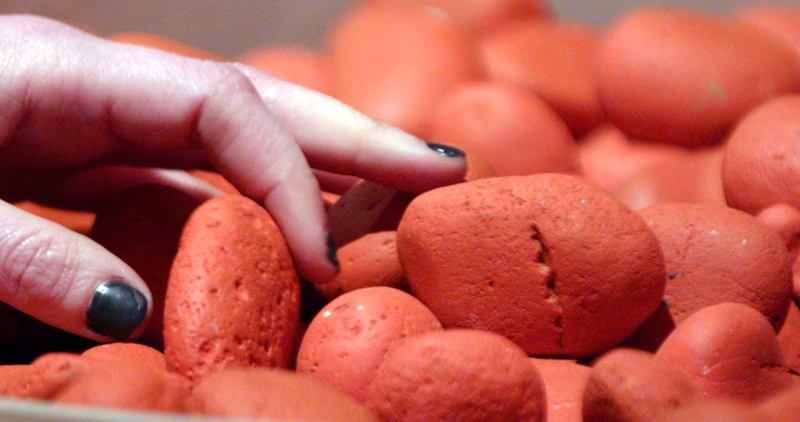 Unlike traditional exhibits, visitors had the opportunity to explore and touch a selection of objects creating a theatrical and experimental atmosphere. 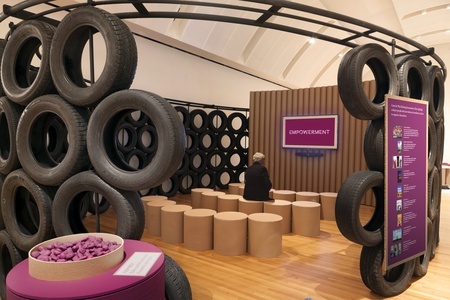 Our team created a manifesto that guided design throughout the fast-moving project: it dictates that anyone can make these unusual enclosures and installations using recycled materials and local urban waste. Rather than traveling physically, the completed exhibition was distributed as a set of open-source instructions to be rebuilt anywhere, anytime.